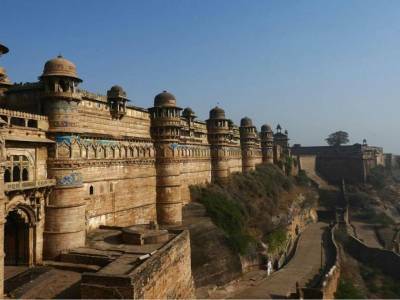 Gwalior Fort is a hill fort that is located in the central state of Madhya Pradesh in India existing as long as since the 10th Century. However, the monuments and inscriptions that are found on the campus of the fort give the impression that it might have just existed even before the 6th Century. This fort has witnessed the control of various rulers from ancient history. The current fort comprises of two main palaces namely Man Mandir and Gujari Mahal along with a defensive structure. In total, however, the fort encloses six palaces, three temples and a number of water tanks. 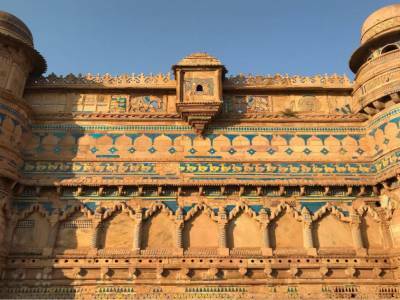 The Man Mandir palace is the most beautiful place on the premises with its highly intricate and elaborate structure that appears to be hanging at the edge of the fort. It was built during the regime of Raja Man Singh Tomar. The Gujari Palace was built during his reign as well. The Teli-ka-Mandir, constructed in the 9th century is not lagging behind by any means either with its harmonious blend of South Indian architecture with North Indian decorative motifs together with delicately and elegantly sculpted exterior. 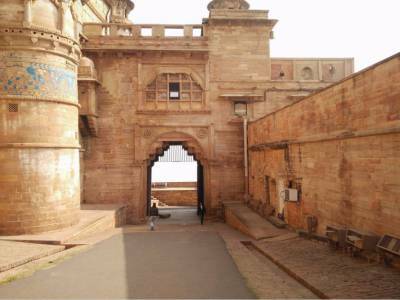 The Gwalior fort is one of the impenetrable fortresses in the country and definitely deserves a visit. This massive and quite intimidating structure dominating the whole Gwalior city is a breathtaking architecture marvel bearing testimony to the brilliant craftsmanship of contemporary times. This sky high structure is of utmost significance and adds immense value to the already rich heritage and history of the country. The Gwalior fort encompasses an area of 3 square kilometres and is surrounded by concrete walls of sandstone. A mind-boggling light and sound show is hosted every evening with great pomp and vigour. The Karan Palace, Shah Jahan Mahal and the Jahangir Palace are also a must see and deserve special mention amongst many others. 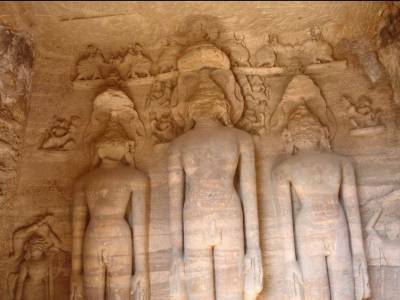 The Gwalior fort is popularly known as “the pearl among fortresses in India”. Atleast 4 - 5 hours required to see the entire fort complex. 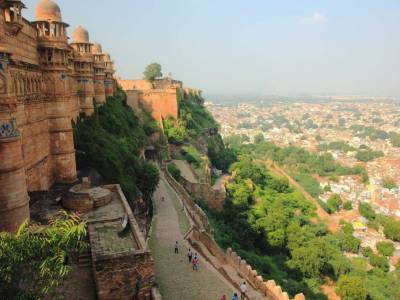 Get quick answers from travelers who visit to Gwalior Fort.